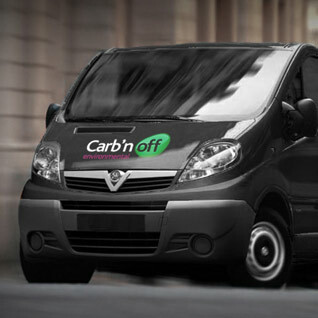 Carb'n-Off Limited has built an enviable reputation for providing the highest quality standards of service to keep our customers compliant for more than 40 years of operation, making Carb'n-Off one of the longest established, premier independent food hygiene cleaning companies in the UK. Carb'n-Off provides a comprehensive range of specialist kitchen deep cleaning and food related hygiene and fire safety cleaning and maintenance services for all industrial and commercial kitchen, food production and bakery environments. Our friendly team engage with our customers to provide an individual service, and happy satisfied customers return to us time and time again. Our client list continues to grow, mainly through the recommendations of our existing customers but also new customers looking for an established service they can trust. That’s why your satisfaction is so important to us - our success depends on it! To enquire further about any of our services or to arrange a confidential FREE site survey and consultation without obligation, please contact us on 0118 982 8960 or complete our enquiry form and we will contact you within 24 hours. “Carb’n Off have regularly cleaned the kitchen grease extract systems at our flagship store in Knightsbridge since 1996 and have done so without any issues over all that time - nearly 20 years now! We would have absolutely no hesitation in recommending their services to others." We are constantly seeking to expand and improve our workforce. If you have industry specific experience or skills that would make a positive contribution to our future then we would love to speak with you. Carb’n-Off is pleased to welcome our latest Apprentice Lucy Tomlinson, Junior Office Administrator to the team.